Word work is an essential piece of the school day. 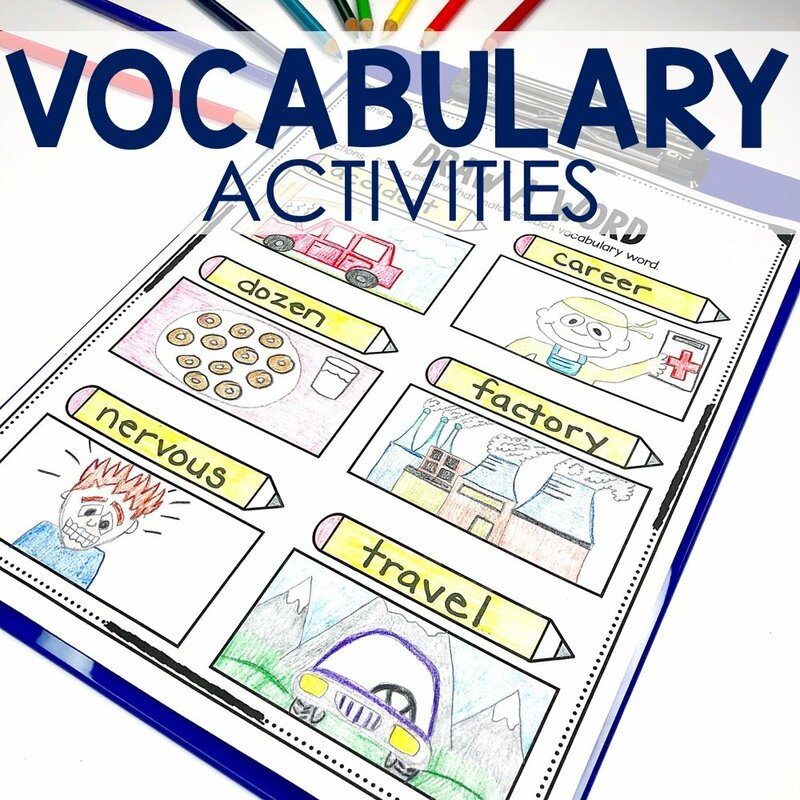 It can be practiced during daily 5, literacy centers, spelling practice, or whole group lessons. The important part isn’t when it is practiced but instead why and how. Word work is the practice of working with words in some capacity. 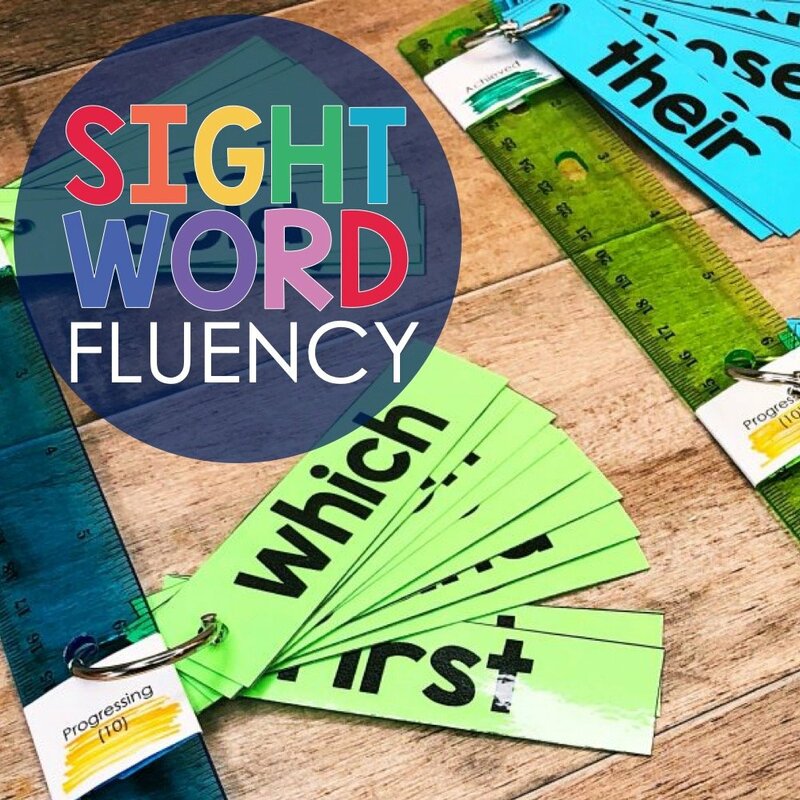 This can be working with a phonics pattern, memorizing sight words (also known as high-frequency words), looking at word families, producing rhyming words, practicing prefixes and suffixes and so much more. 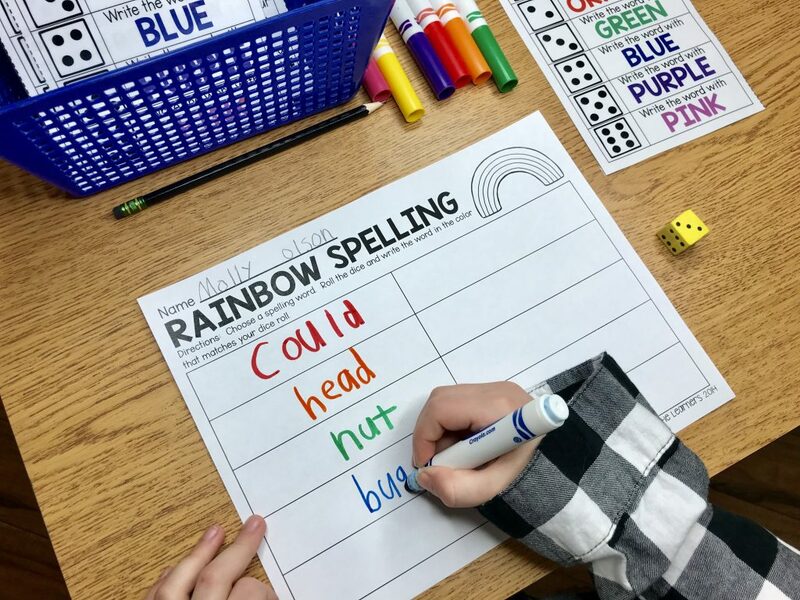 Word work is important because it helps students develop into better readers, spellers, and writers. 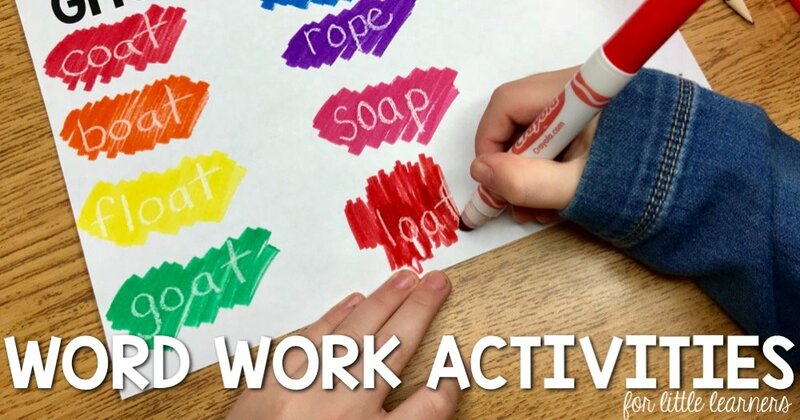 There are many word work activities that students can do throughout the school day and at home to help them to become better readers, writers, and spellers. 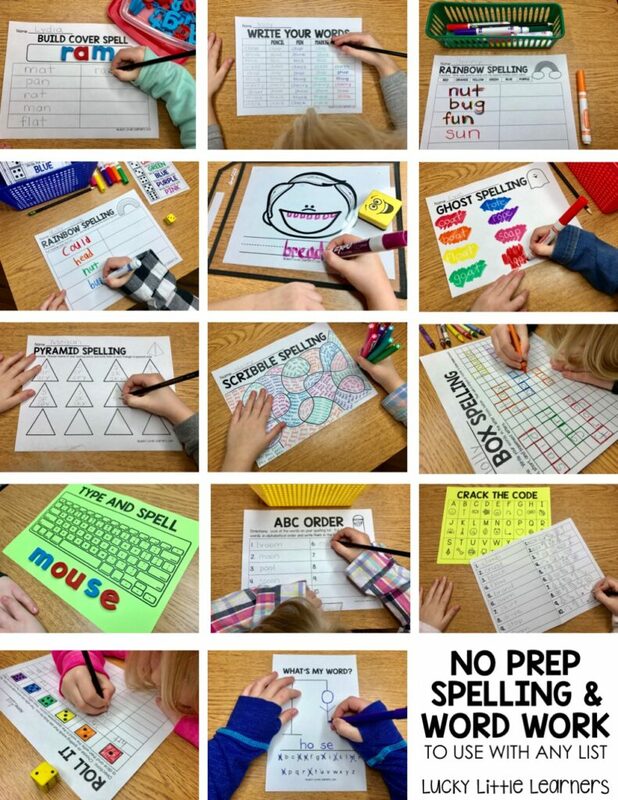 Some of my favorite are the ones listed below because the activities don’t require any prep and the sheets are simply print and go! ***Disclaimer: most templates are provided for 10, 15, and 20 word lists! 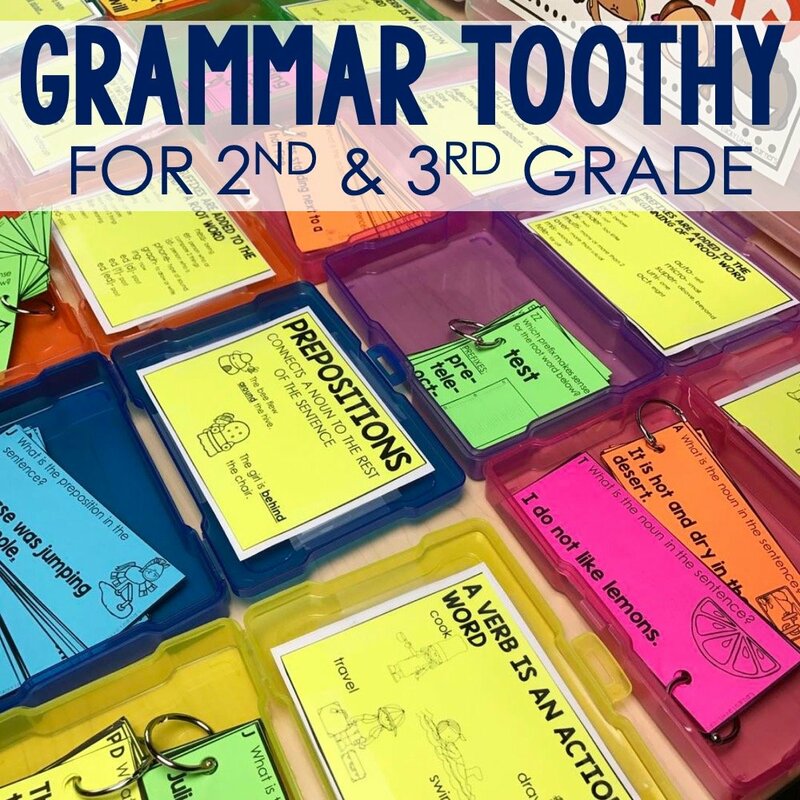 Spelling Toothy™ is a lot of fun! Students partner up. Partner A gives partner B a word from the list. Partner B writes the word. 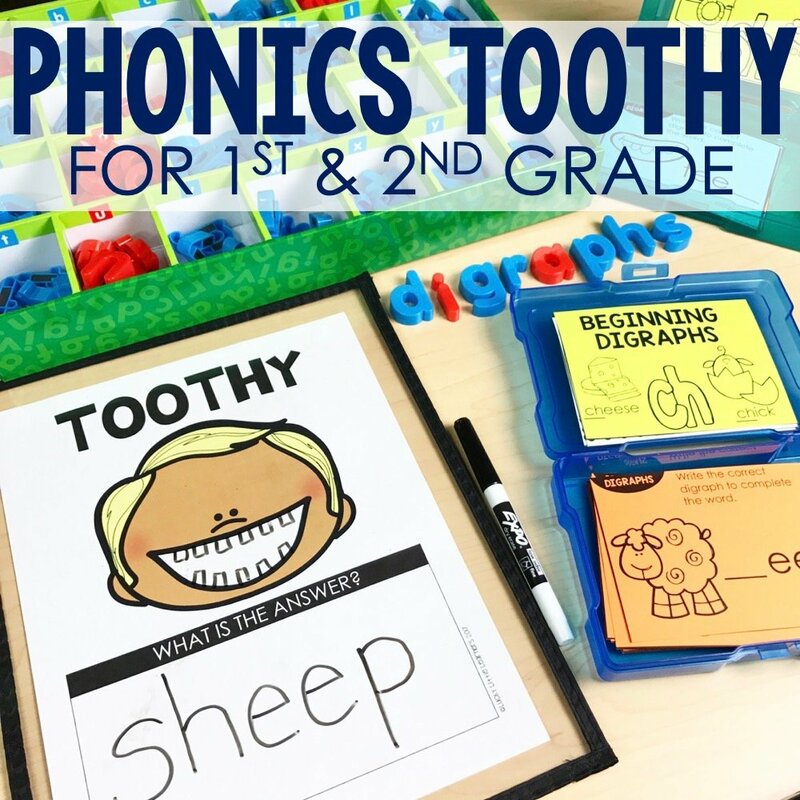 If the word is written correctly, he/she gets to draw a tooth in Toothy’s mouth. Partners switch roles once the list is finished. Students choose a spelling word from their list. 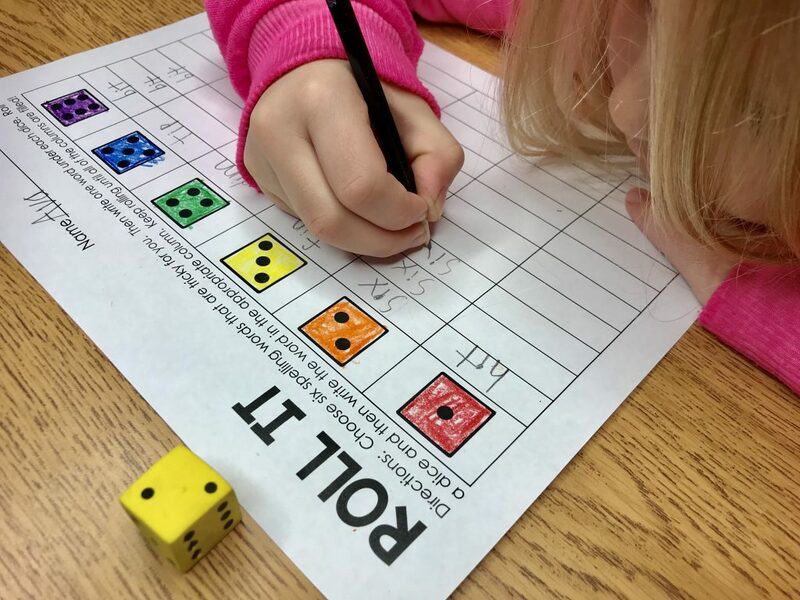 Then he/she rolls the dice and writes the word in the color that matches the dice roll. 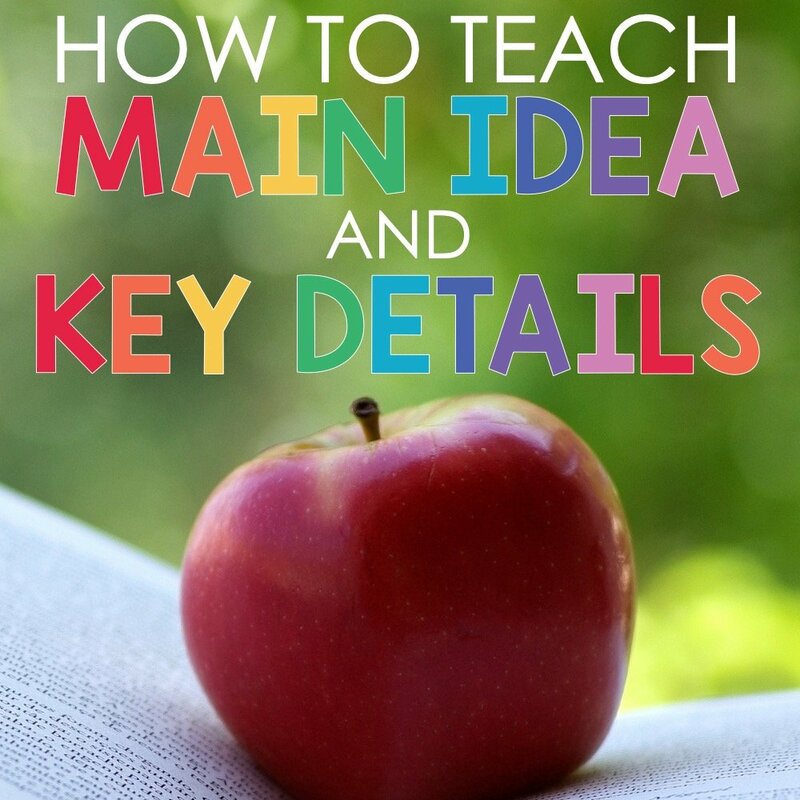 The student can use markers, colored pencils, or crayons for this activity. 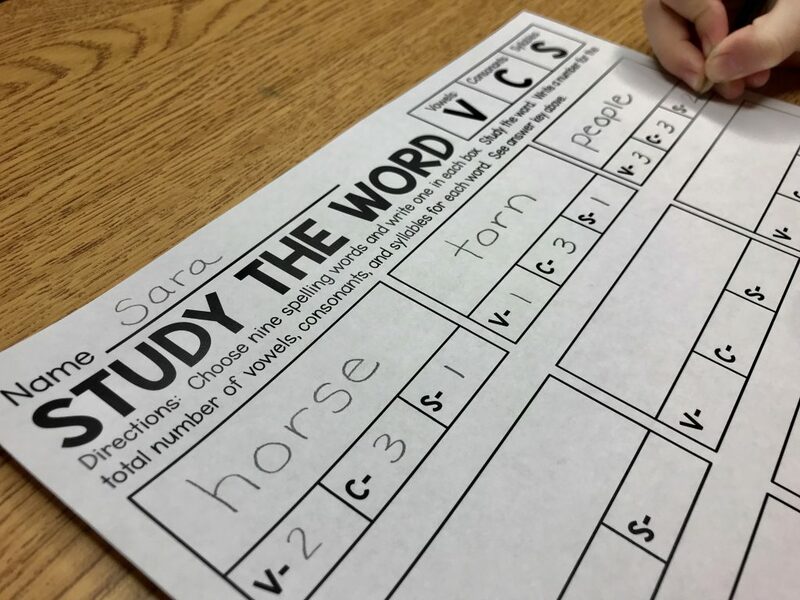 Before making a copy of this sheet, the teacher writes the spelling words in the left column. 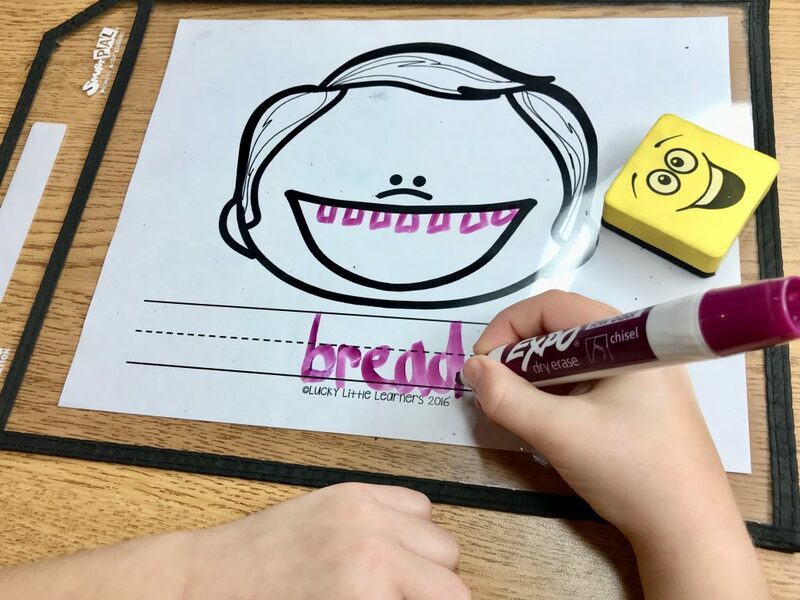 The student then uses a pencil, pen, and marker to complete the activity. 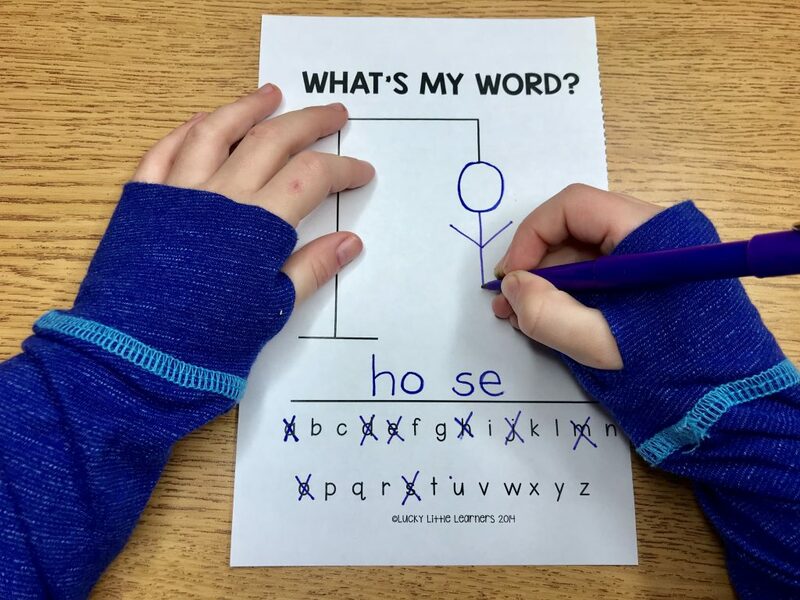 This word work activity is very similar to Hang Man. Students play this game with a partner. Partner A choose a word from the word list. Partner B guesses a letter that is in the word. If the letter is in the word, it gets written on the sheet. If it is not in the word a body part gets drawn. The object of the game is to guess the word before the entire body is drawn. Partners switch roles after every word. 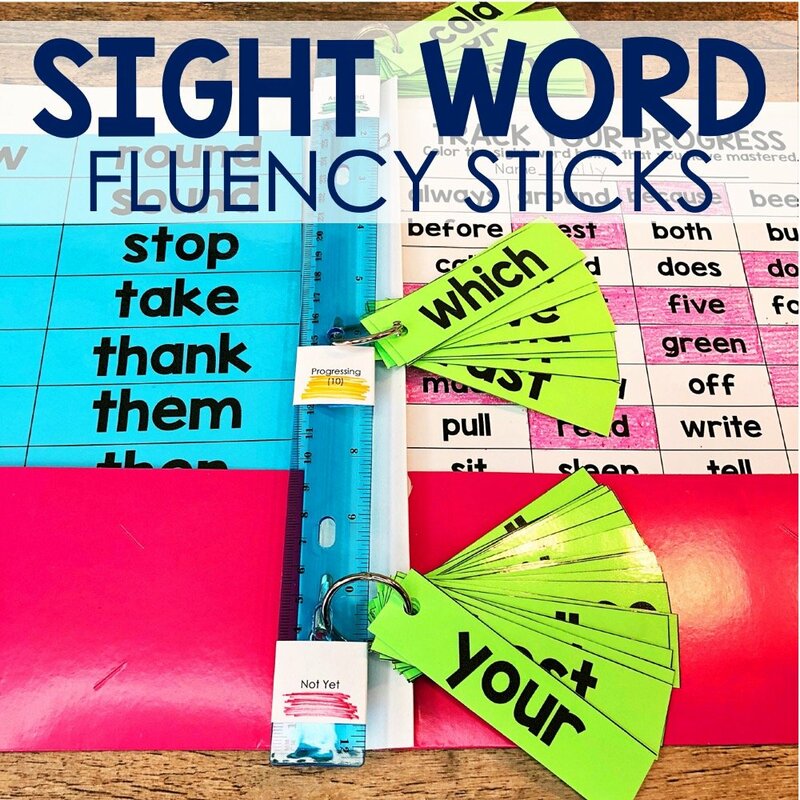 Laminate the word work sheets to reuse. 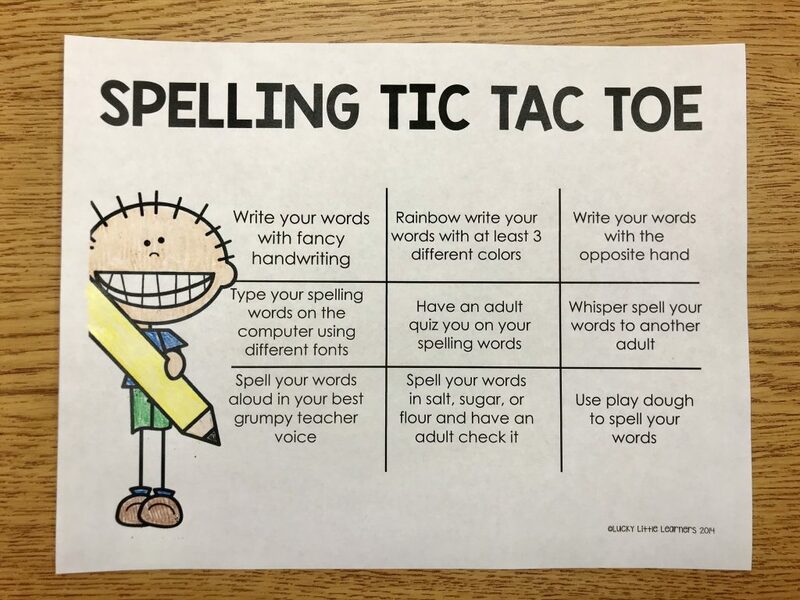 Options are good and this spelling tic tac toe sheet is a great option for students! 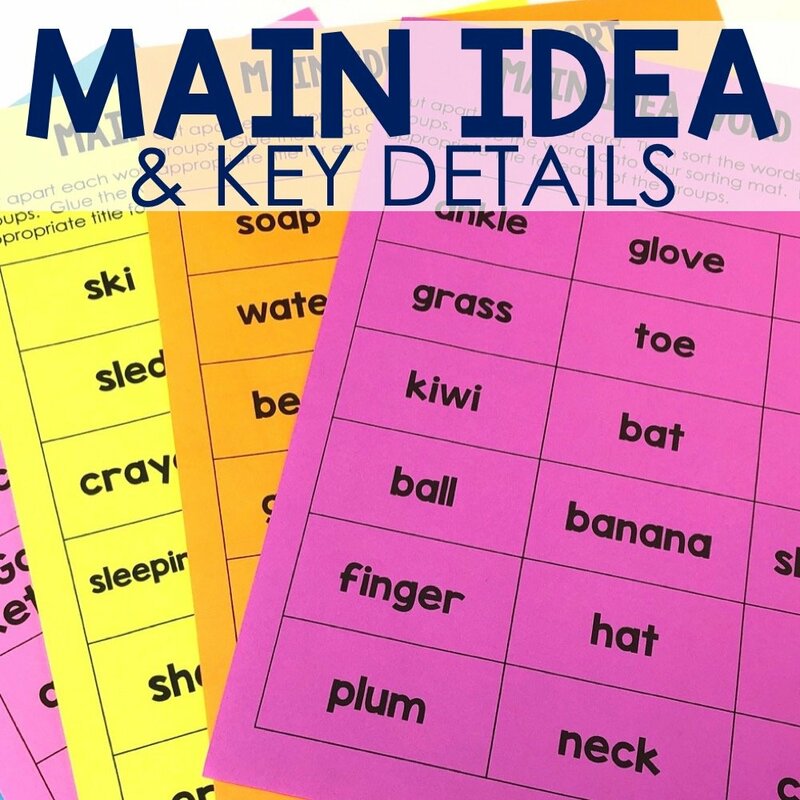 This sheet can be sent home or used in the classroom and instantly provides some great word work options! 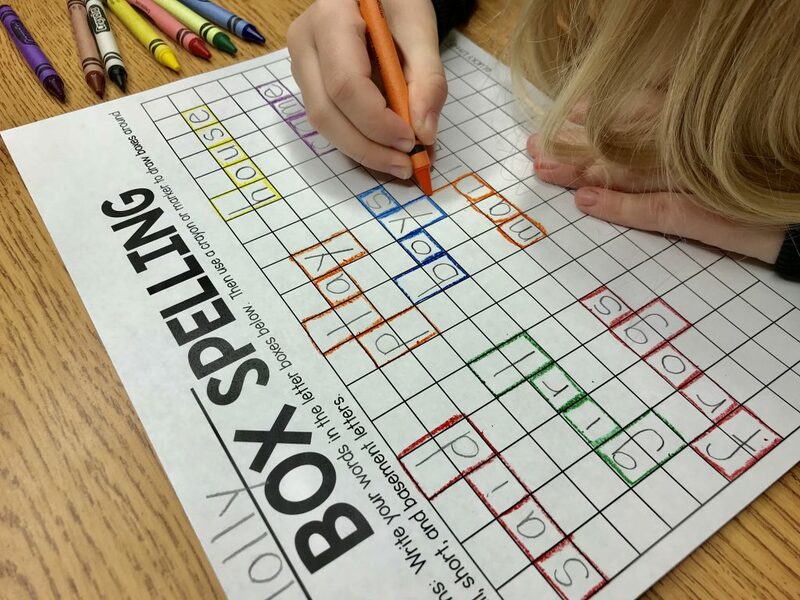 Roll It is a fun word work activity where the student chooses six spelling words that are tricky for them. Those six words get written along the top under each dice. Then the student rolls the dice and writes the word in the appropriate column. The student keeps rolling until all of the columns are filled. 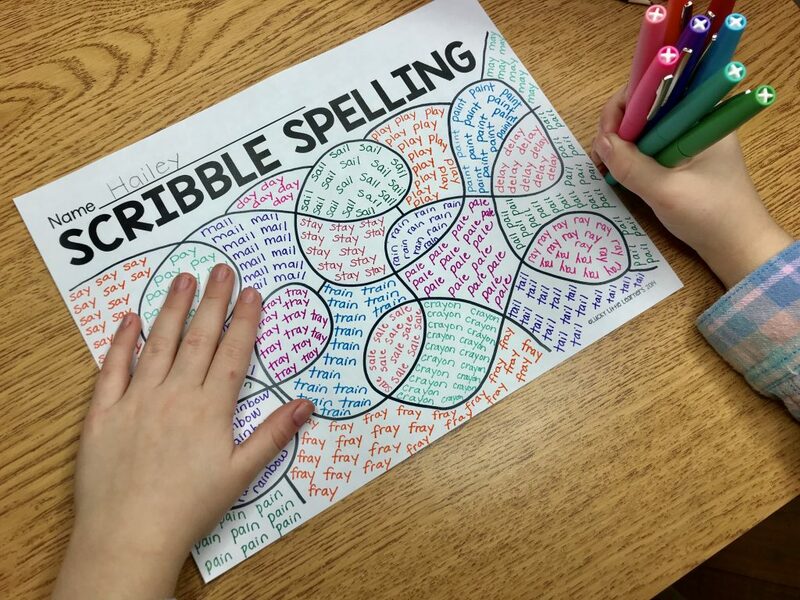 Scribble Spelling is a student favorite! Give students this scribble spelling template and a variety of markers. Each space on the scribble spelling mat gets a word and it is written with the same color repeatedly. 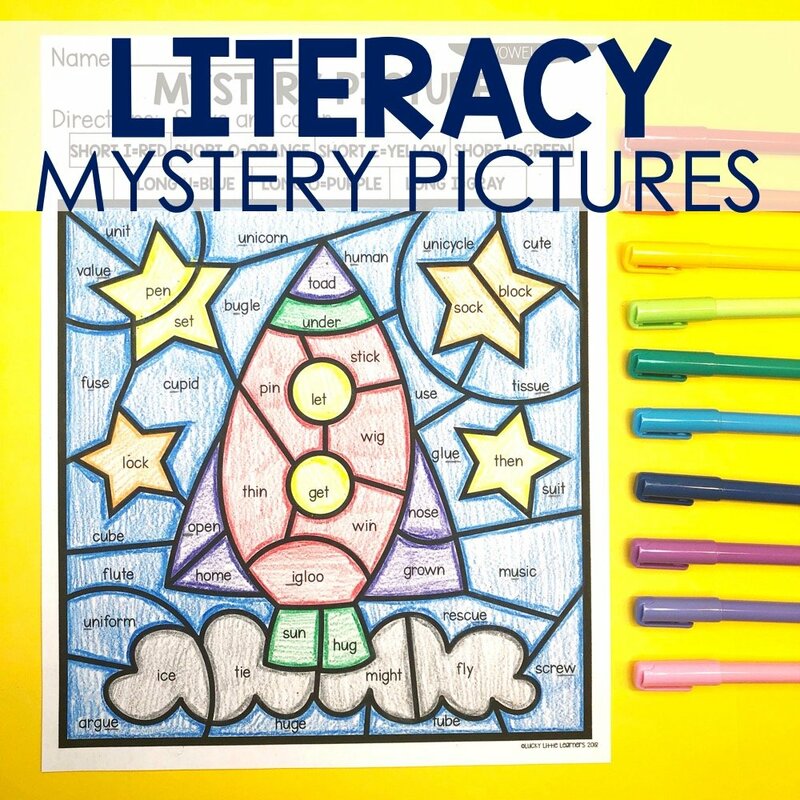 You can download a free Scribble Spelling activity below! 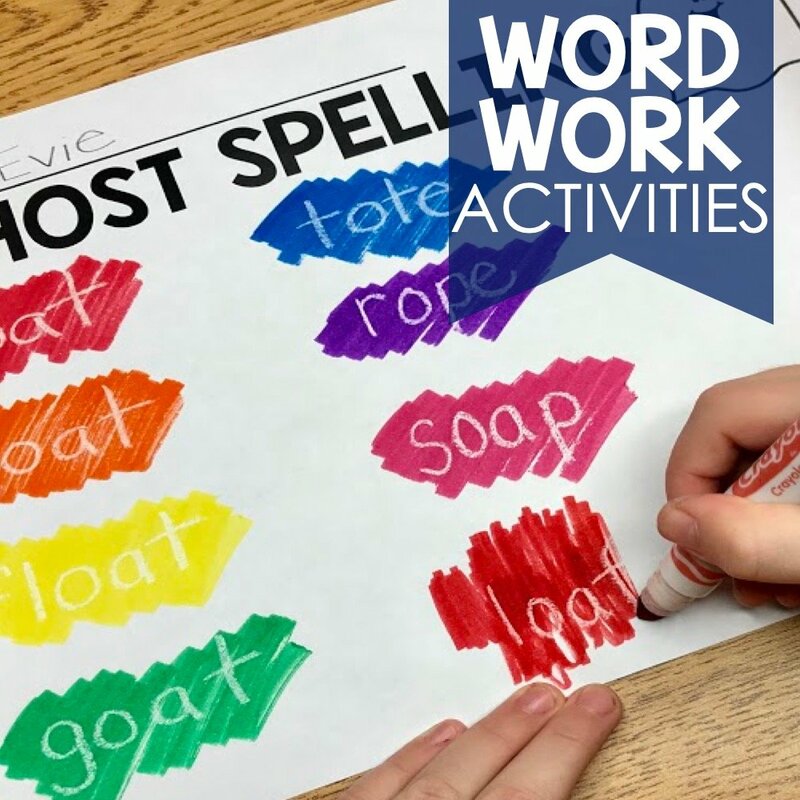 This fun spelling activity truly is magical! 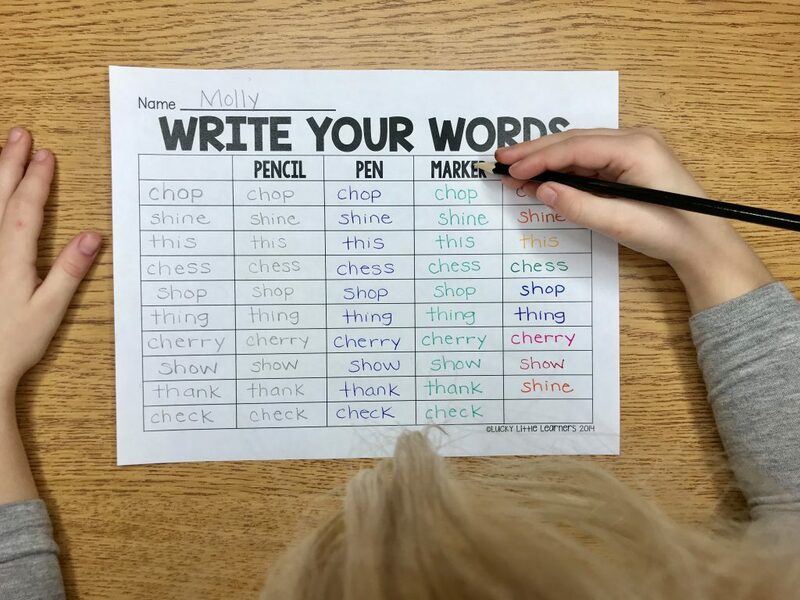 Students need a white crayon to write their words. 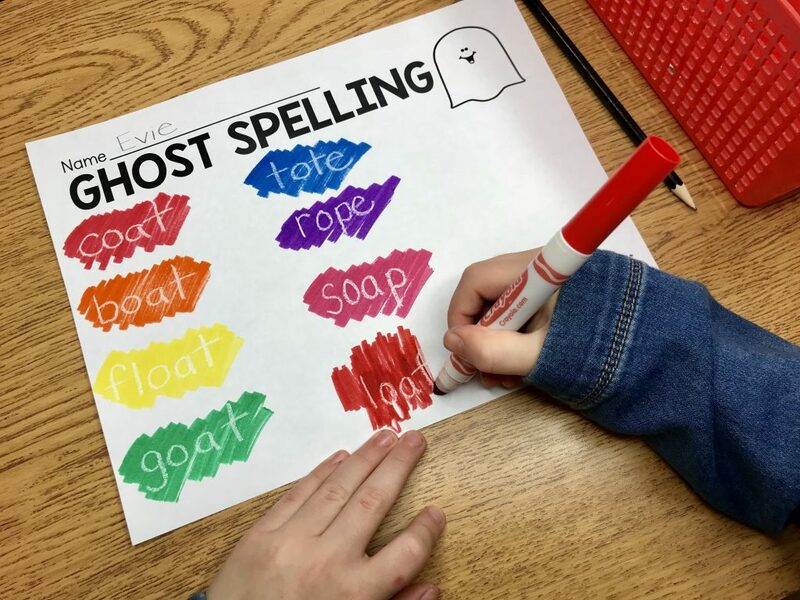 After he/she writes the word, rub a marker over top of the white crayon to reveal the ghost spelling word. Be ready to hear the oooh’s and ahhhh’s! 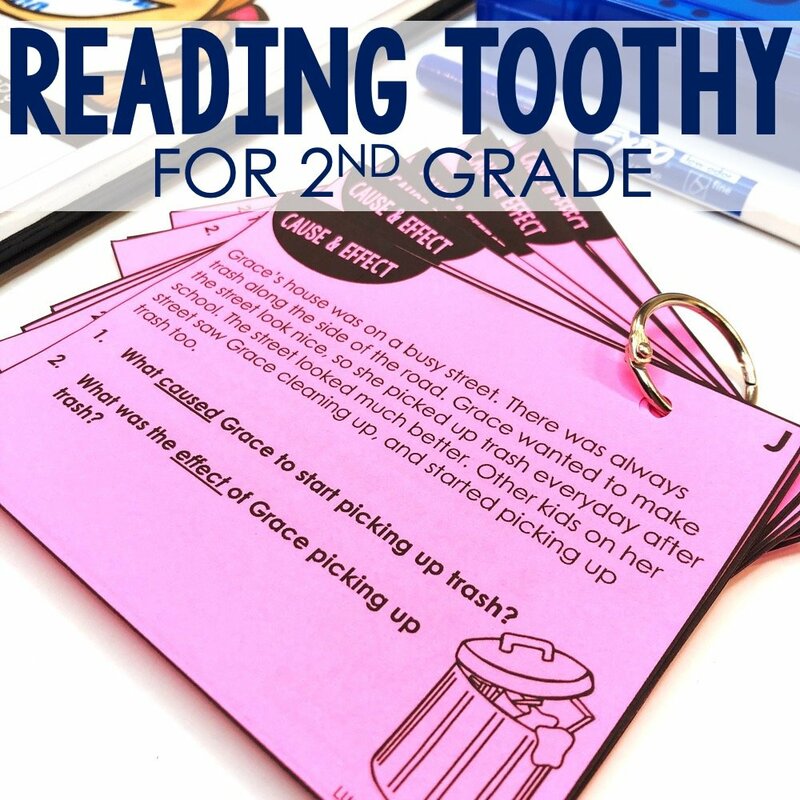 Teachers are always looking for ways to get students to practice alphabetizing so why not with spelling words? 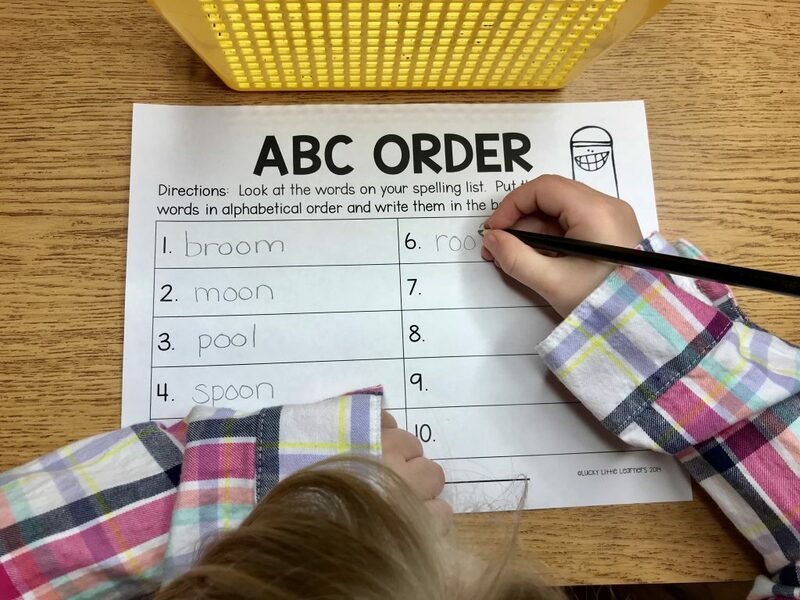 ABC order is the perfect word work activity to practice this skill. 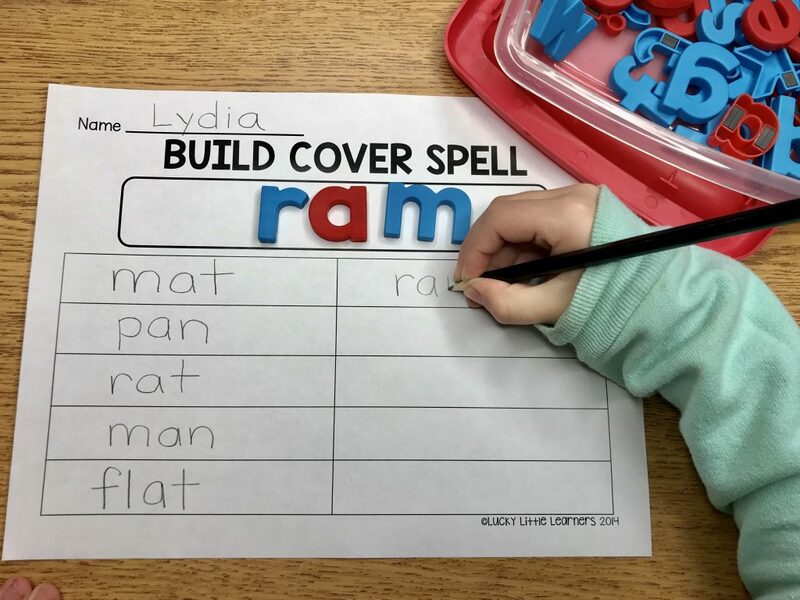 Grab a handful of magnet letters and watch the engagement happen with this build cover spell activity. Students choose a word from their list. Then build it with the magnet letters at the top of the sheet. Then cover it with their hand or a piece of paper and while it is covered it needs to get written on the paper. 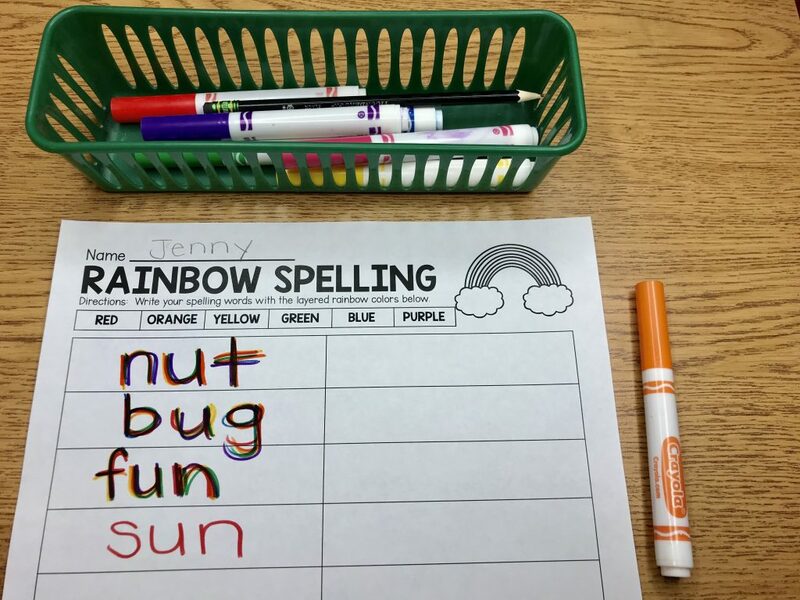 Grab a handful of markers and rainbow spelling can be a great word work activity! Simply choose a word and then layer the colors red, orange, yellow, green, blue, and purple. Then repeat with the next word. 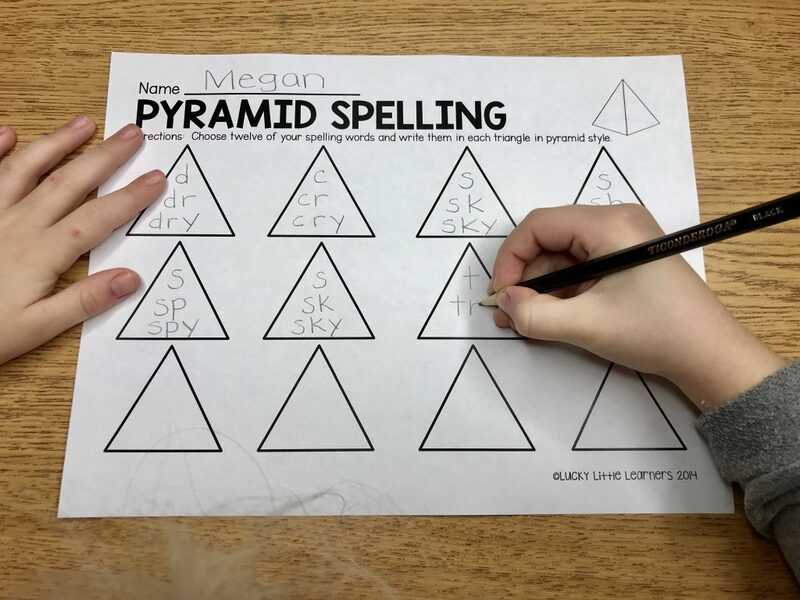 For this activity the student layers the letters in the word like a pyramid. 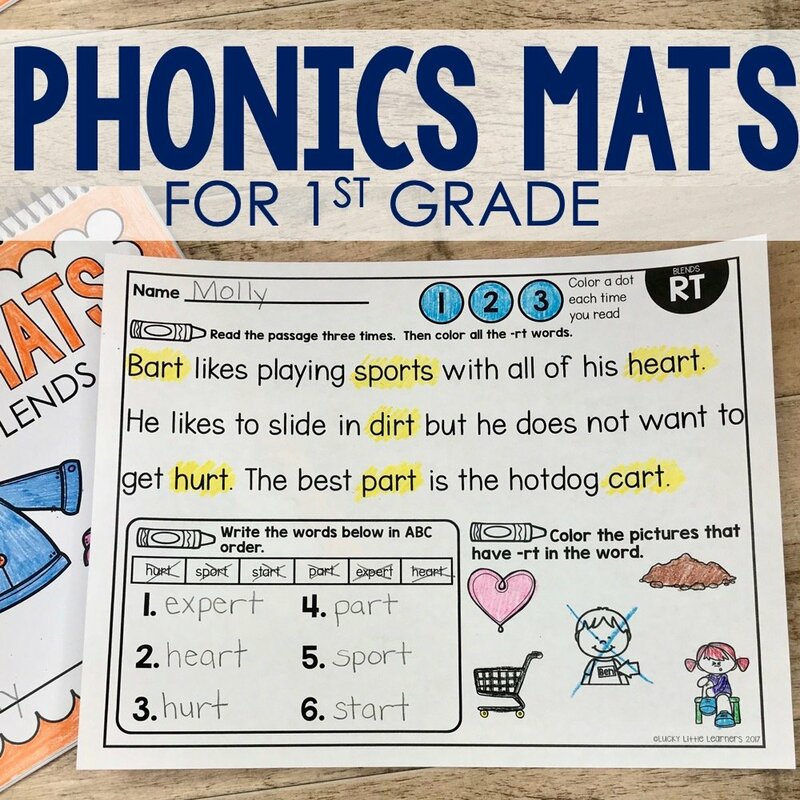 It’s a fun and simple way to practice words! 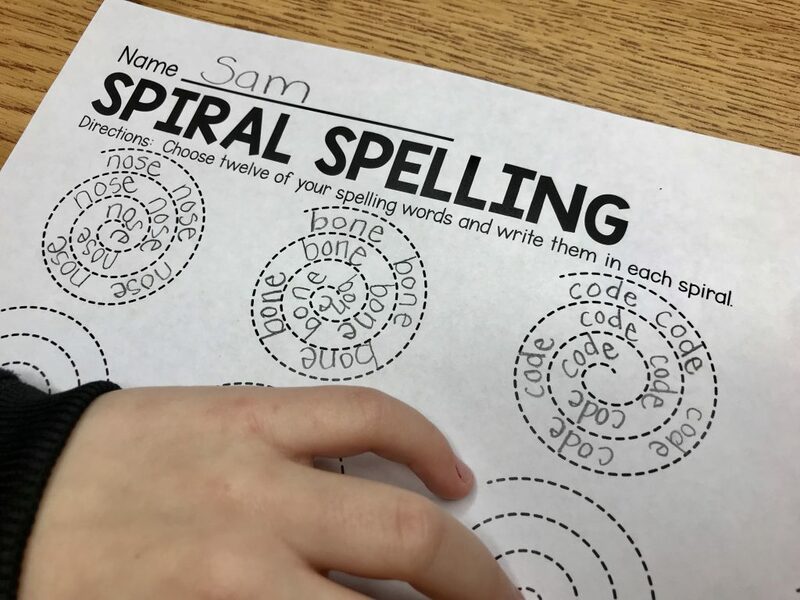 Spiral spelling is a fun activity that will have the student spinning into success. The student chooses a word and starts on the outside of the spiral and continues to repeat the word over and over until he/she has arrived to the center of the spiral. 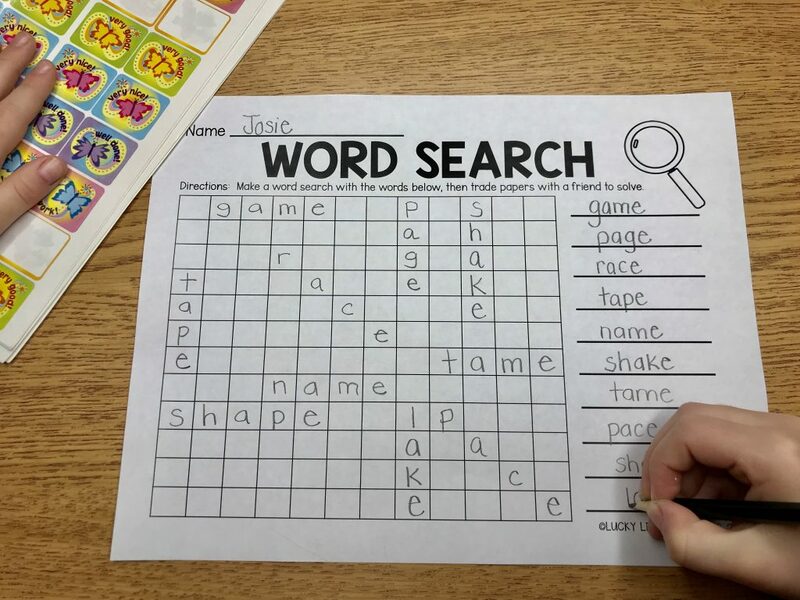 Students love word searches so why not have them make one! 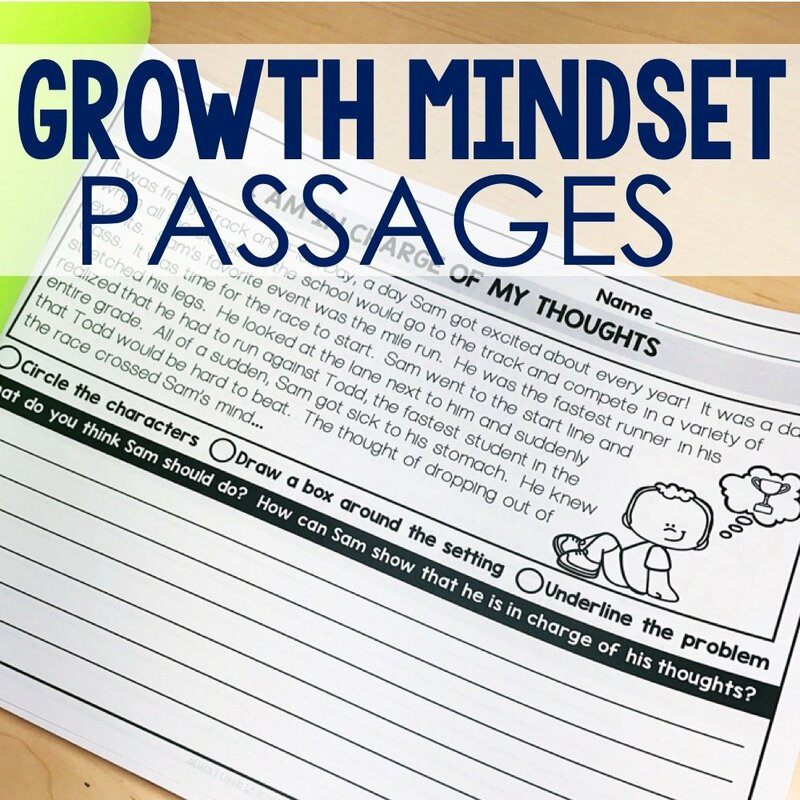 This word search template is sure to excited and engage students all while providing them with opportunities to practice and study the words! Box spelling serves a couple of intentional purposes. Not only are the students practicing how to spell the words but also are revisiting the formation of the letters! 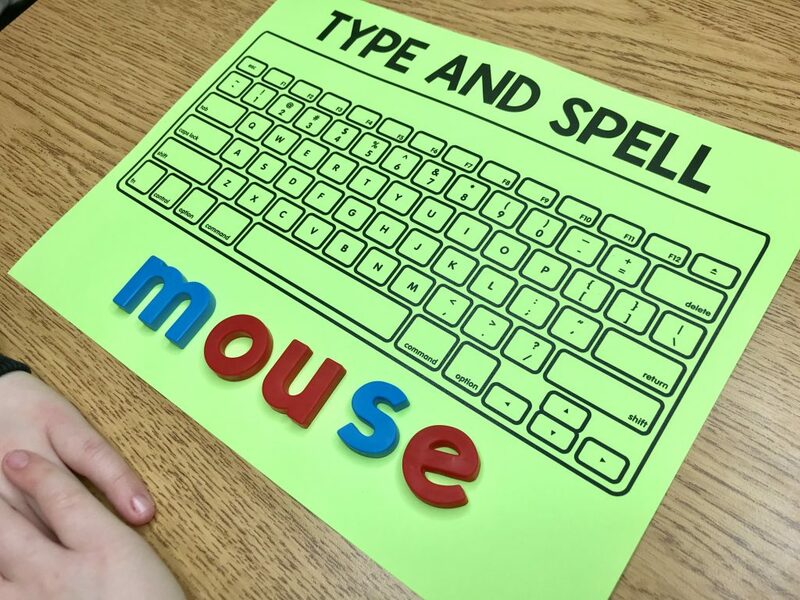 Give students a pretend keyboard and watch their eyes light up with excitement as they pretend to type their words! So fun! Study the Word is another activity that has several purposes. 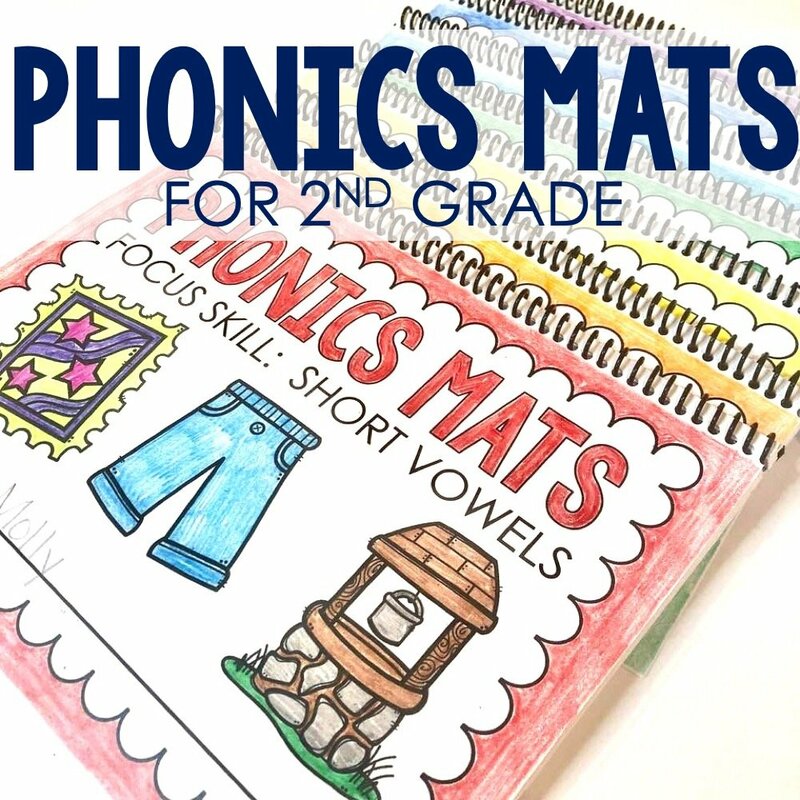 Besides the obvious spelling practice, it also provides an opportunity for the students to practice their vowels, consonants, and syllables. Calling all detectives! Students love Crack the Code! 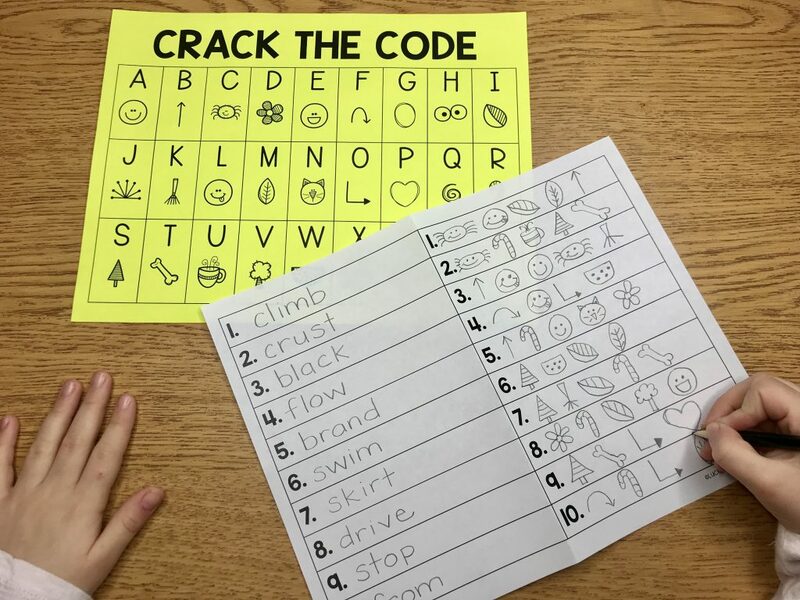 Students create a “code” on the right side of the sheet. 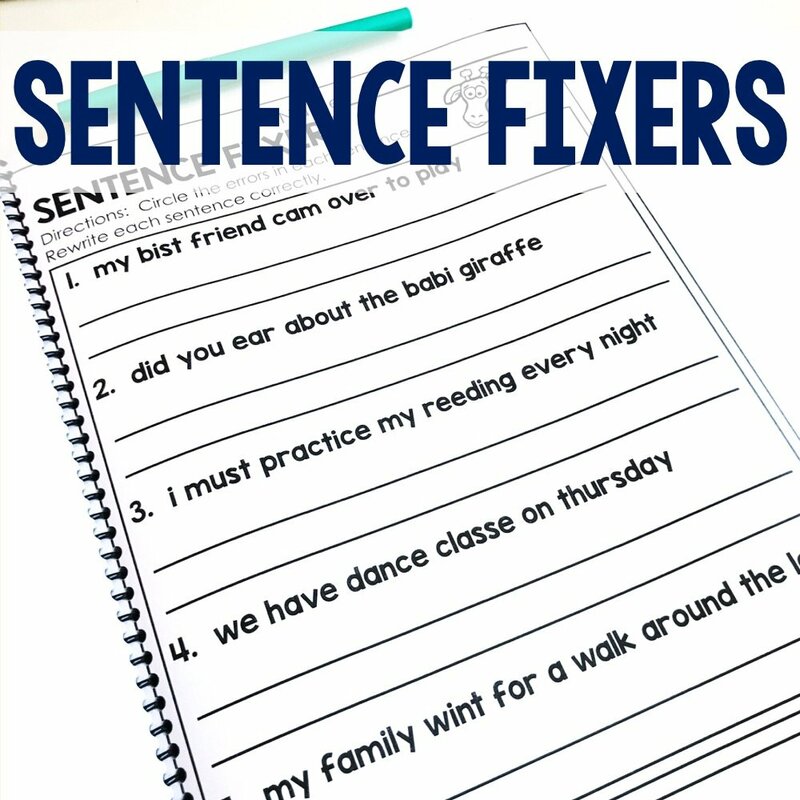 When finished, they find a partner to exchange papers with and they solve each other’s codes by figuring out the spelling word for each line and writing it on the right side. The paper gets folded. Thank you ! I love the twist to get my students to study their spelling words! All week! 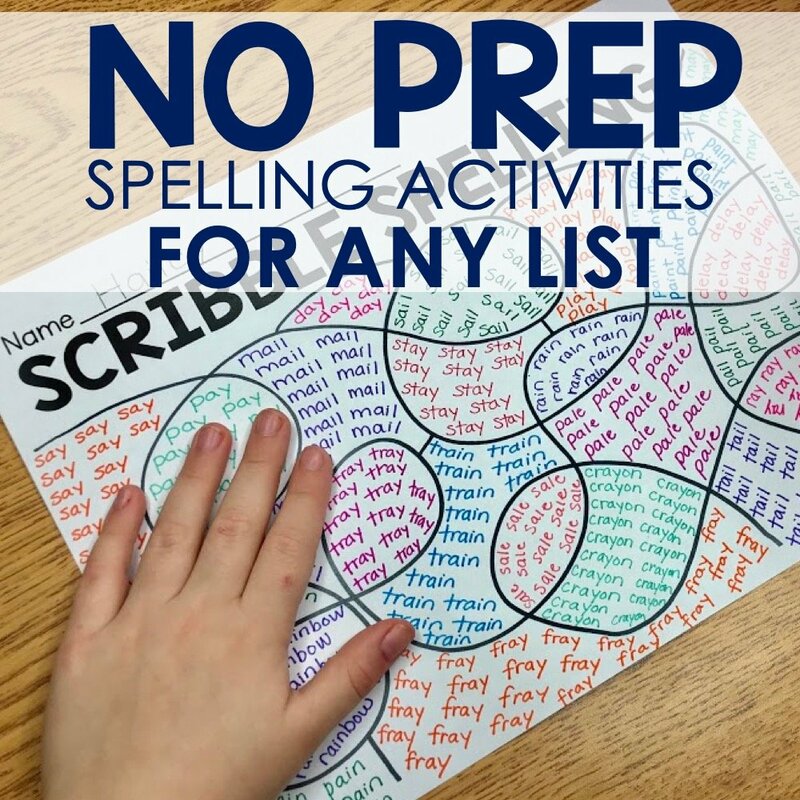 How can I get copies of your no prep spelling and word work.? I love them!